The phrase “metacognition” was coined in 1979 by American developmental psychologist John H. Flavell to refer to “conscious cognitive or affective experiences that occur during an enterprise and concern any aspect of it—often, how well it is going” (Flavell 1979). Boiled down: students are more effective learners if they become more aware of their own thinking as they study, participate in class, listen to a lecture, read, write, or solve problems. Although metacognition is important to learning, multiple studies show that students are not particularly good at it: “they are quite limited in their knowledge about cognitive phenomena—or in their metacognition—and do relatively little monitoring of their own memory, comprehension, and other cognitive enterprises” (Flavell 1979). Students’ lack of metacognitive ability is particularly evident in their reading practices--they often mistakenly believe that they understand something they’ve read, an “illusion of comprehension,” because they do not monitor their knowledge or question whether they’re understanding as they read (Markman & Gorin 1981; Myers 2006). Not only are students not particularly good at analytical self-reflection, they usually don’t understand the value in it. For the last few years in my own classes, I’ve been asking students if any of their previous teachers in college or high school taught them about the importance of reflecting on what and how they’re learning--98% say no. As instructors we need to not only teach our students how to reflect, we need to also explain why it’s important. I often tell them about Donald Schön’s book, The Reflective Practitioner: How Professionals Think in Action, in which he explains that reflection is necessary to success in professional life. He studied practitioners in many fields (for example, social work, healthcare, law, urban planning, and engineering) and found that “reflection in action” is the basis from which these practitioners create new ideas and the foundation of effective problem solving (Schön 1983). Research published in Harvard Business Review by Di Stefano et. al. (2014) reinforces the need for analytical and creative reflection in the workplace; for example, one study found that employees in call centers who spent 15 minutes at the end of the day reflecting about lessons learned performed 23% better after 10 days than those who did not reflect. First, explain why reflection is important. Remember that students will likely not know the value of reflecting on what and how they are learning, so you will have to tell them. Embed reflective exercises, like free-writing or group discussion, into the structure of your class. Create time and space for reflection in your class, and on a regular basis. Students can’t learn to be good at it if they only do it once or twice--they need the repetition to gain the benefits. You don’t have to give a score to every reflective exercise; for example, you can ask students to free-write for a few minutes to reflect on and respond to a discussion you just had in the class, or a lecture they just heard, or a project they just completed. You don’t even need to collect these--it’s the student’s own personal reflection. Or you can ask students to turn to someone sitting close by and together, reflect on something that just happened in the class. If you’re using McGraw-Hill Education’s Connect, teaching metacognitive practices is built into the SmartBook and LearnSmart adaptive learning tools. Each time students answer a question, they must also rate the level of their confidence about the accuracy of the answer. In other words, they make a metacognitive call about their own knowledge level each time they answer a question. This feature helps them continuously think about their knowledge as they are reading and practicing with the content you have assigned. 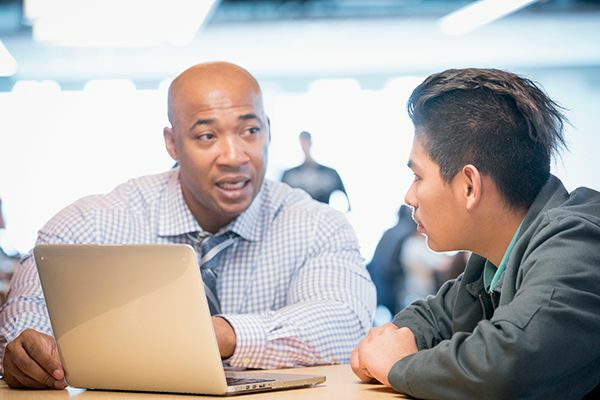 In addition, Connect provides robust analytics of students’ metacognitive choices in the form of both student and instructor-facing reports. The student reports show how often they answered incorrectly but said they were confident about the answer, and also how often they answered correctly but said they did not have confidence in the answer. The first datapoint is usually a good eye-opener for students, who often think they know more than they do (the Dunning-Kruger effect--we are often ignorant of our own ignorance). That’s one reason it’s a great idea to ask students to review their own data after completing a SmartBook or LearnSmart assignment: they can get a more truthful understanding of where the gaps in their knowledge are and where they’re excelling. Knowing where they are in the first step in being able to take responsibility for moving ahead. This type of data also provides a useful opportunity for additional reflective exercises. For example, have them write a brief summary of what the report says, what it means, and how they can use this information to improve in the future. This data-based reflection encourages them to analyze their own knowledge and then to begin taking responsibility for their learning. Instructors can also see the metacognitive student data (for both the entire class and individual students) in their reports. With this kind of drill-down information, you can tailor future class discussions to focus in on specific problem areas. Reflection is an important part of life and learning. It doesn’t matter what topic you’re covering--if you teach students to analyze their performance through systematic self-reflection, they will become more self-confident, more likely to take responsibility for their learning, and more likely to transfer what they’ve learned to other situations (Paris & Winograd 1990). DiStefano, Giada et. al. “Making Experience Count: The Role of Reflection in Individual Learning.” Harvard Business School NOM Unit Working Paper No. 14-093. 5 Dec 2015. Dunning, David. “The Dunning-Druger Effect: On Being Ignorant of One’s Own Ignorance.” Advances in Experimental Social Psychology 44: 2011, 247-296. Flavell, John. H. “Metacognition and Cognitive Monitoring: A New Area of Cognitive-Developmental Inquiry.” American Psychologist 34 (10): October 1979, 906-911. Markman, E.M. & L. Gorin. “Children’s Ability to Adjust Their Standards for Evaluating Comprehension.” Journal of Educational Psychology 73 (3), 320-325. Myers, Larry. “The Illusion of Knowing: Comprehension-Monitoring Failure Among College Students.” Eric Research Reviews. Reading Psychology 10 (4): 1989, 381-386. Paris, S. G., & Winograd, P. “How Metacognition Can Promote Academic Learning and Instruction. In B. F. Jones & L. Idol (Eds. ), Dimensions of thinking and cognitive instruction. Hillsdale, NJ: Lawrence Erlbaum Associates, Inc. 15-51. Schon, Donald A. The Reflective Practitioner: How Professionals Think in Action. New York: Basic Books, 1984. 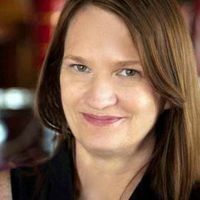 Lynda Haas teaches rhetoric and composition at the University of California, Irvine, where for 10 years she was also a Writing Program Administrator. Her areas of research include digital pedagogy and digital literacies, visual rhetoric, and the intersections between writing theory, feminism, and cultural studies. She co-edited a book of essays entitled From Mouse to Mermaid: The Politics of Film, Gender, and Culture, and recently presented a paper on accelerating the learning of international students at the Symposium on Second Language Writing. She has been using McGraw-Hill’s Connect for over a decade, and helped pilot several tools as they were released, including the facilitation of an inter-institutional assessment study using Connect's "Outcomes Based Assessment” tool in 2010. Since then, she has served as a “Digital Faculty Consultant” for McGraw-Hill, talking with other instructors about Connect and digital pedagogy.